Rement, the makers of Candy Toy, have revealed the next Pokemon Candy Toy line – it’s called Floral Cup Collection. Inside every Floral Cup Collection box is a removable Pokemon figurine and flower cup statue. 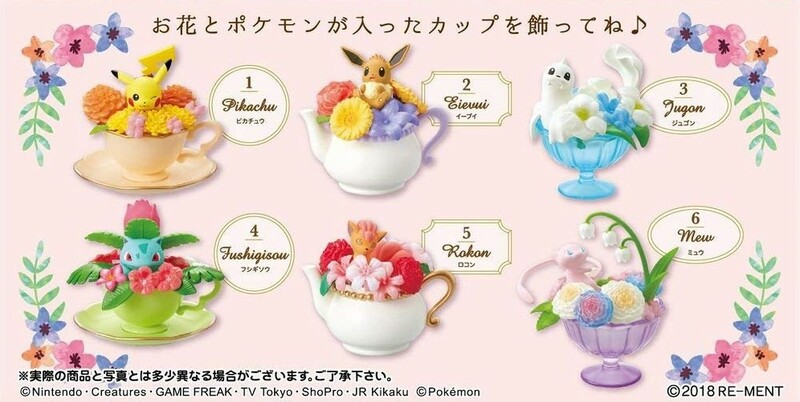 The Pokemon featured in the Floral Cup Collection are Pikachu, Eevee, Dewgong, Bulbasaur, Vulpix, and Mew. 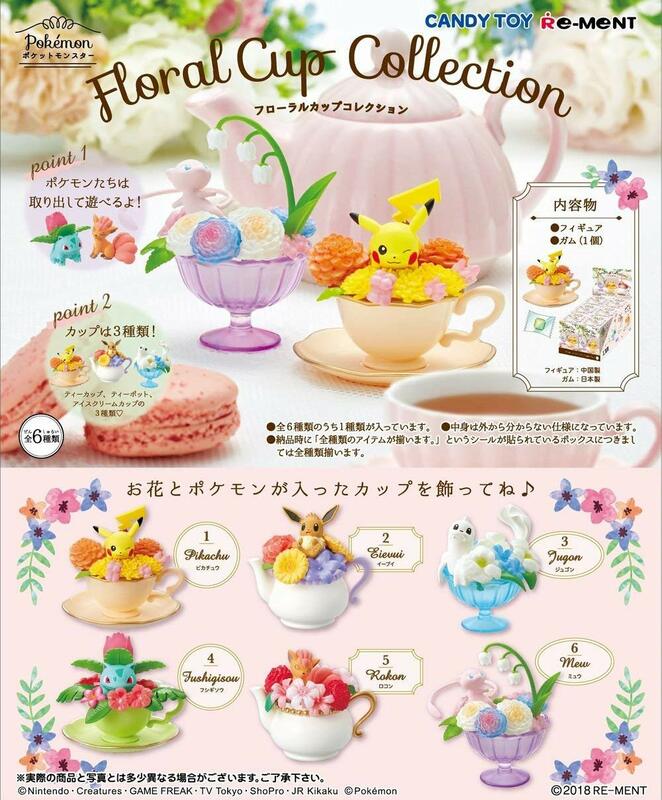 Pokemon Floral Cup Collection releases September 17, 2018 in Japan. Pre-order the full set of six figurines from Amazon Japan (ships worldwide). Don’t forget to check out the upcoming Pokemon Quest Cord Keeper line too.